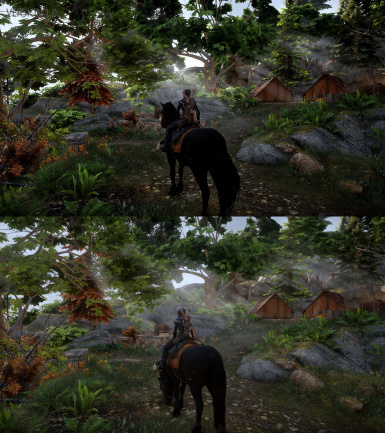 This is a ReShade preset. 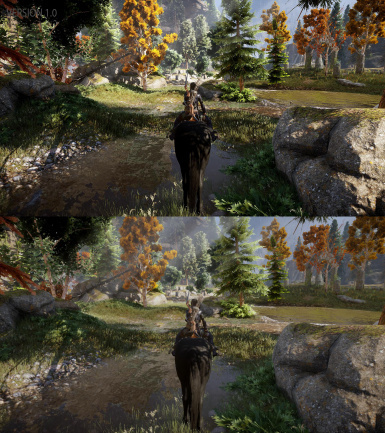 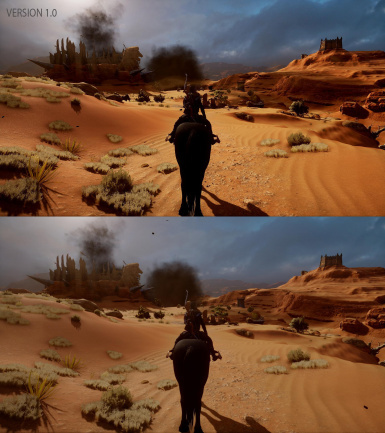 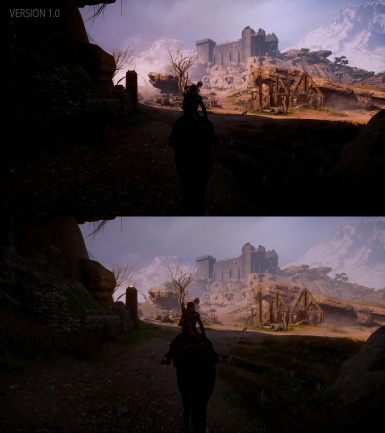 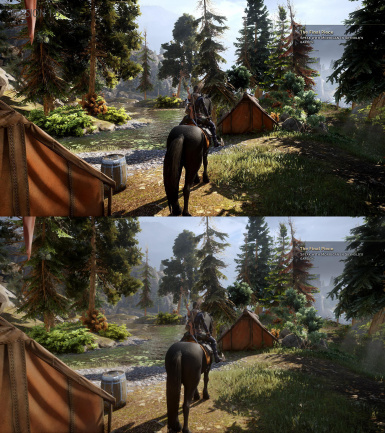 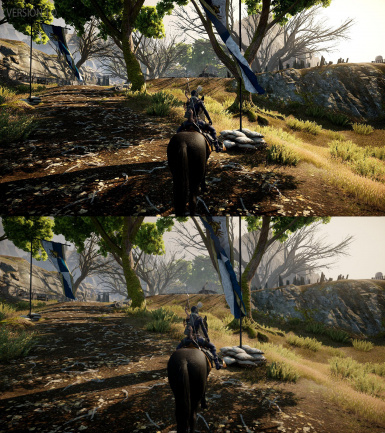 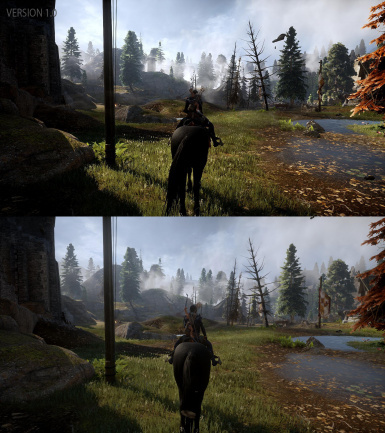 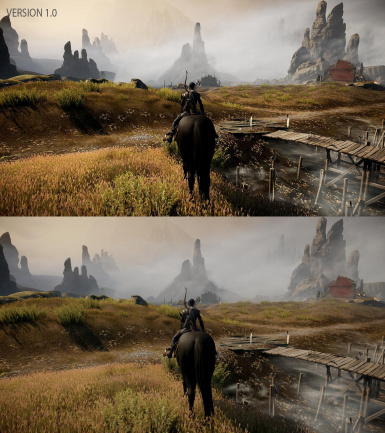 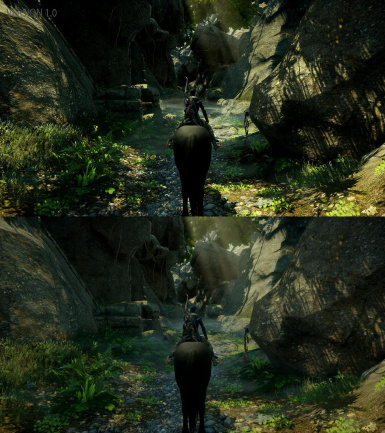 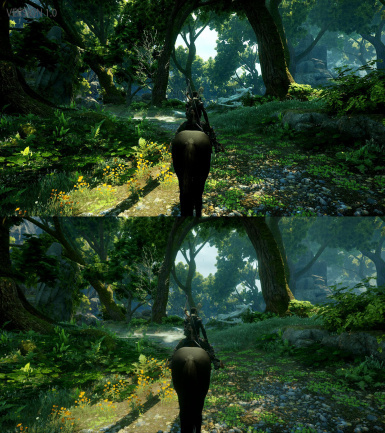 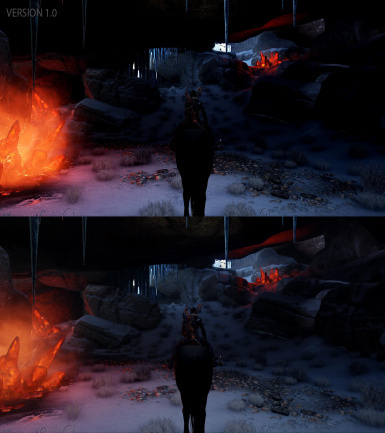 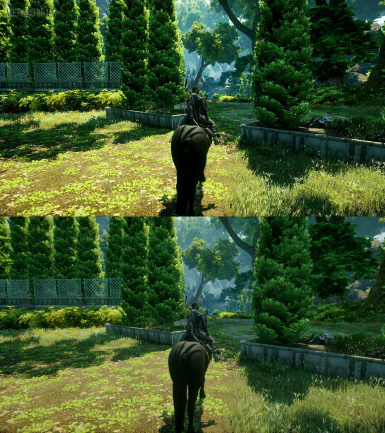 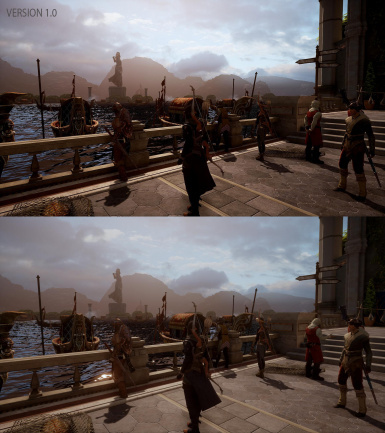 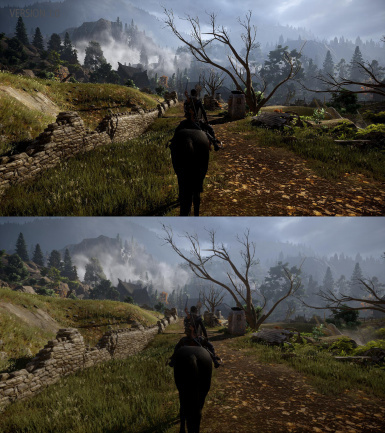 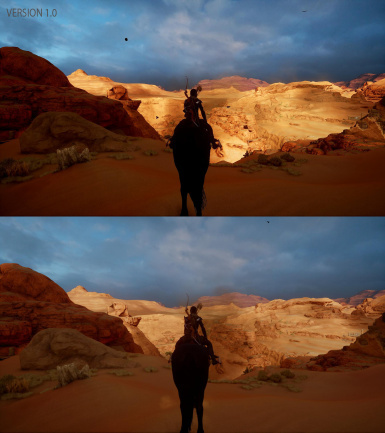 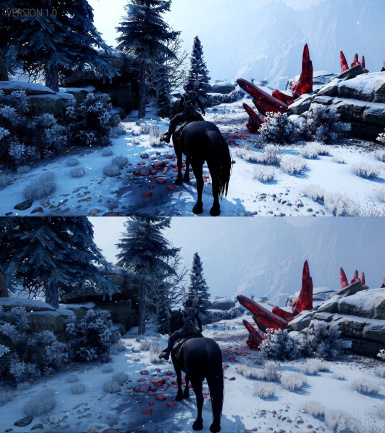 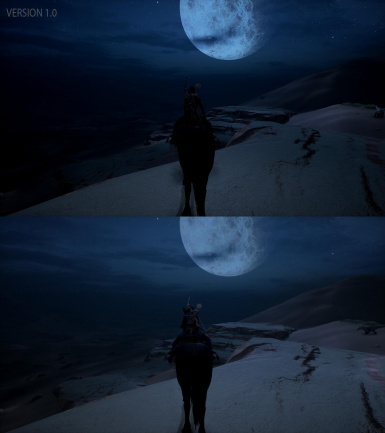 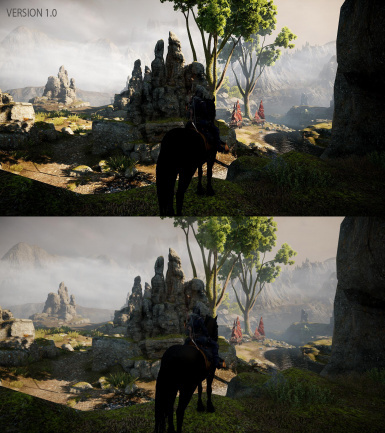 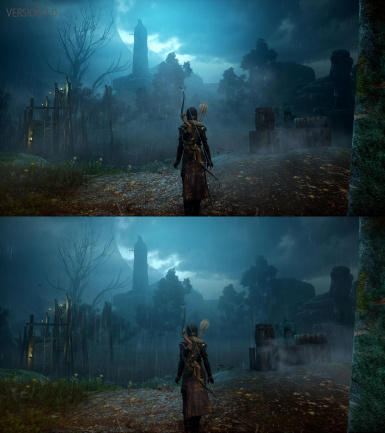 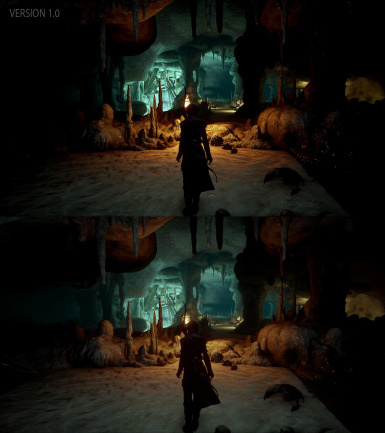 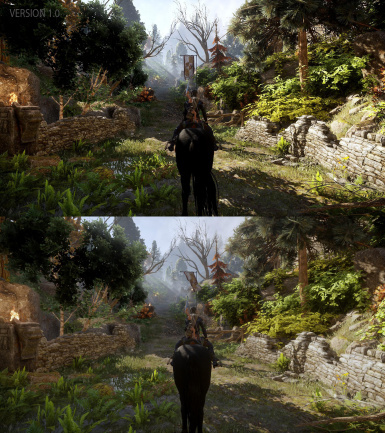 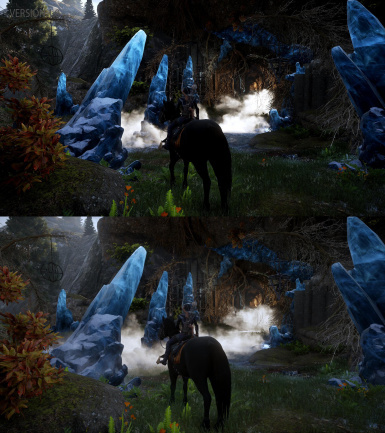 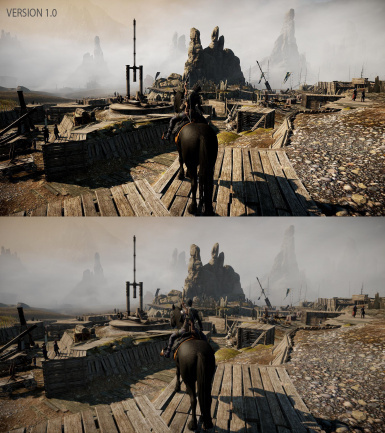 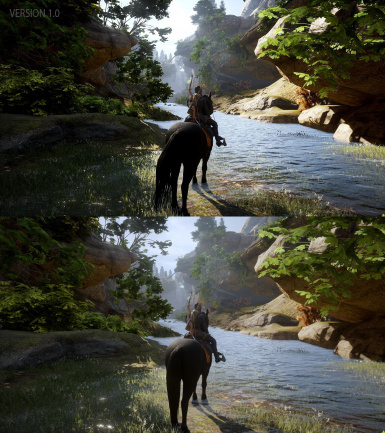 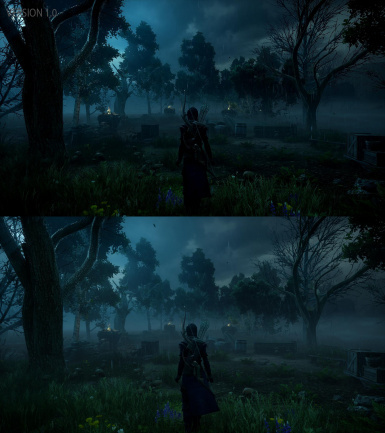 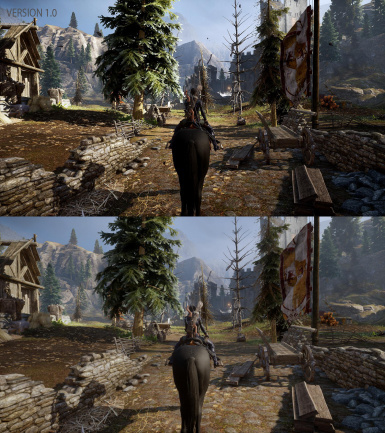 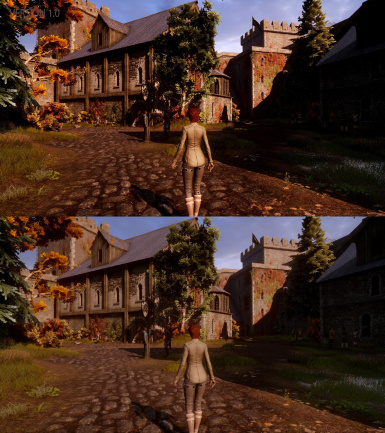 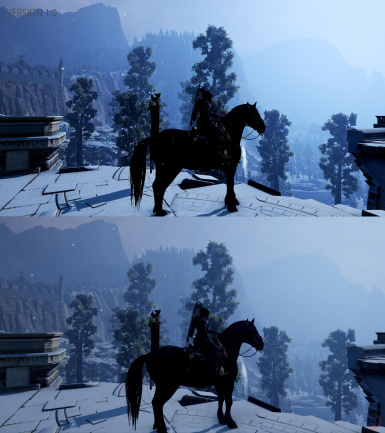 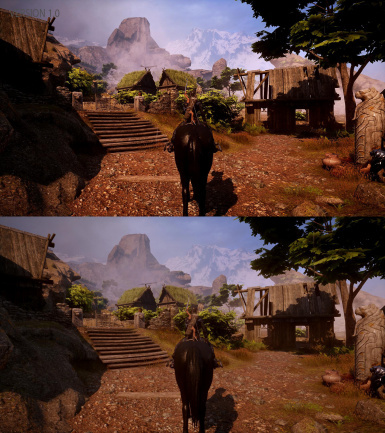 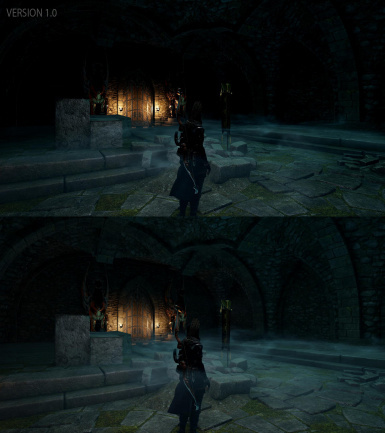 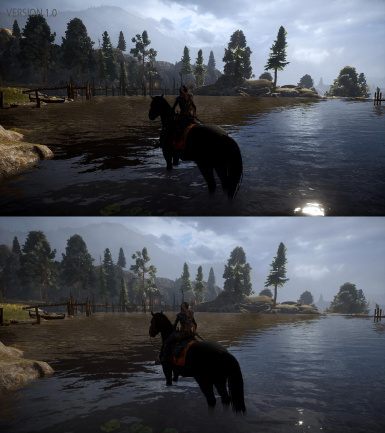 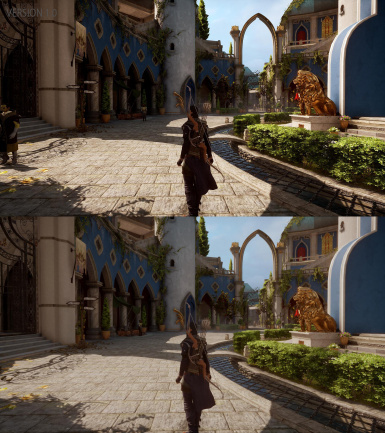 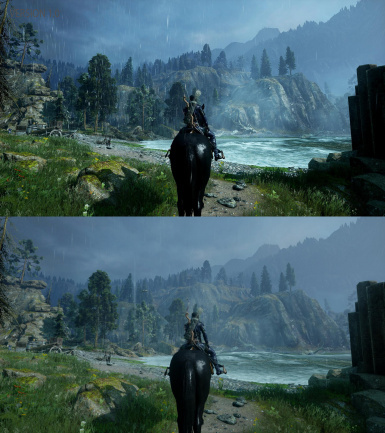 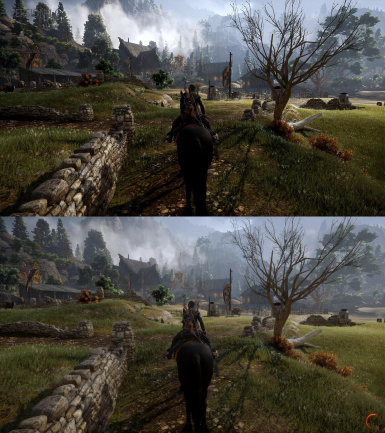 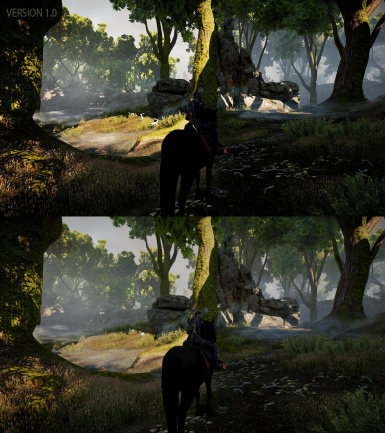 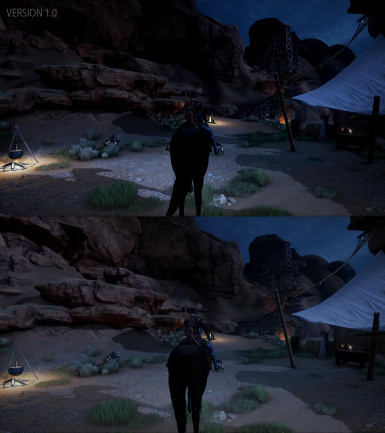 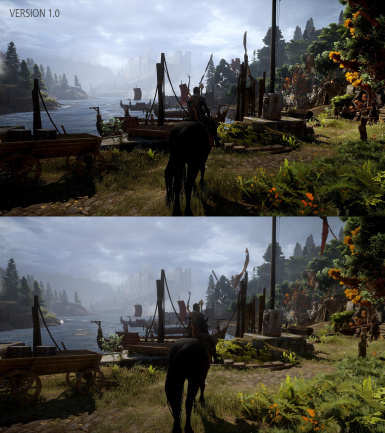 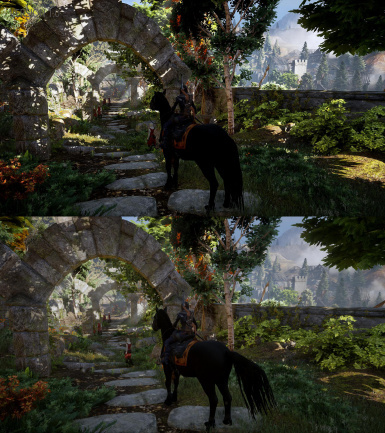 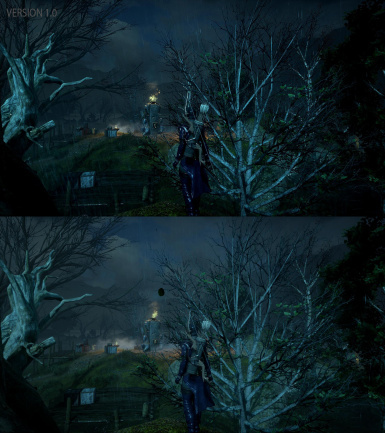 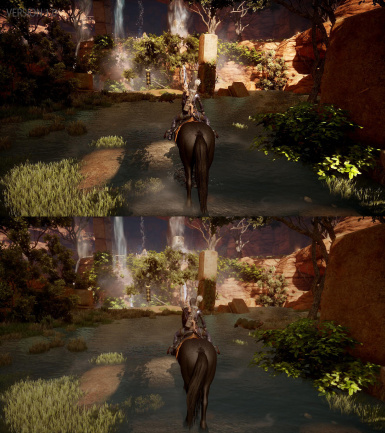 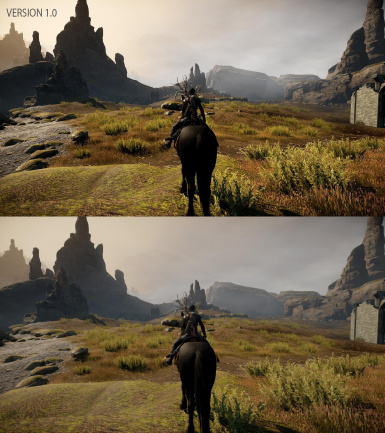 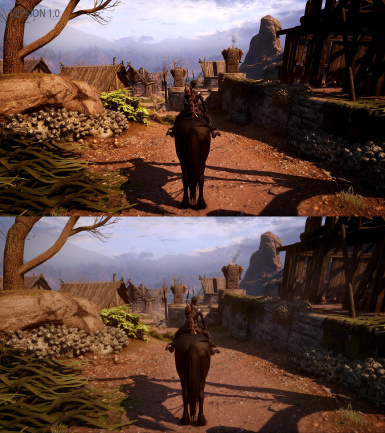 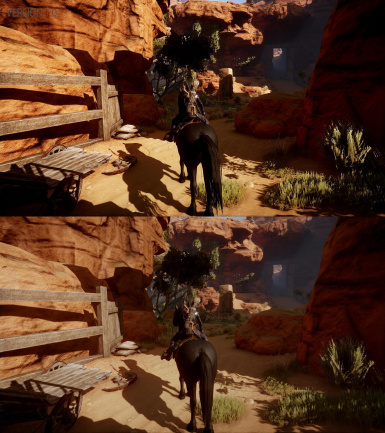 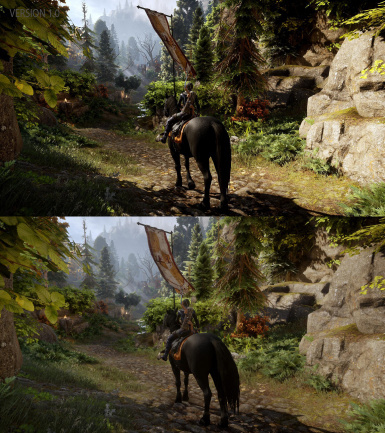 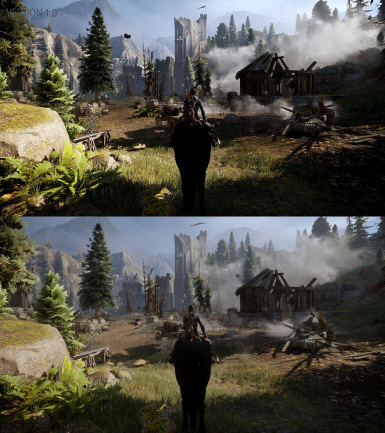 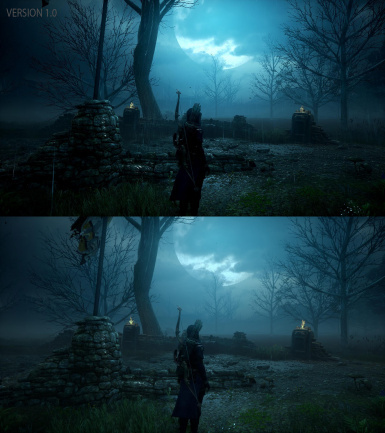 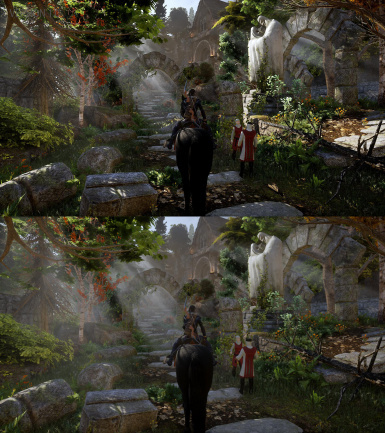 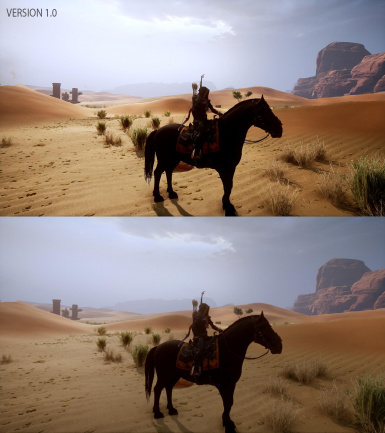 This ReShade preset attempts to eliminate the misty blurring that is present throughout the game. 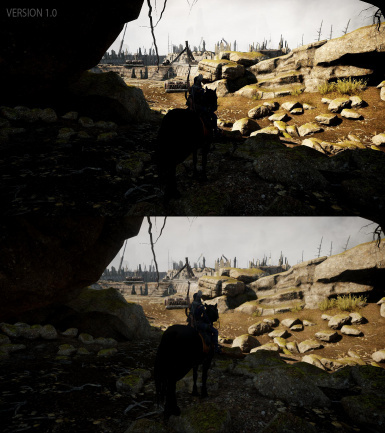 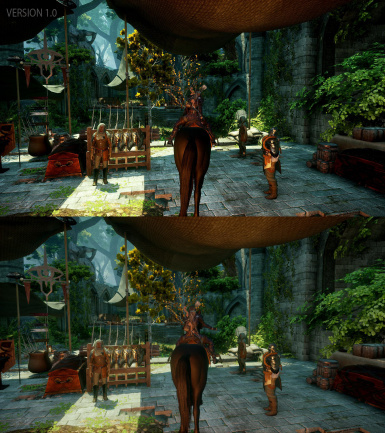 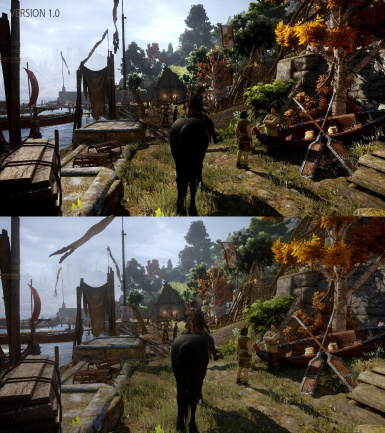 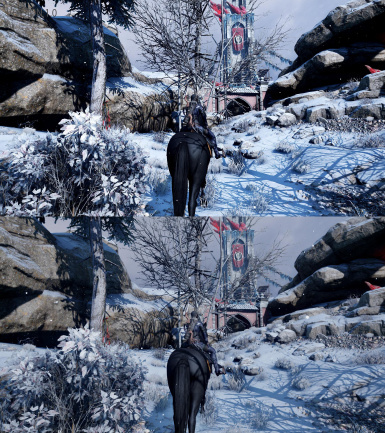 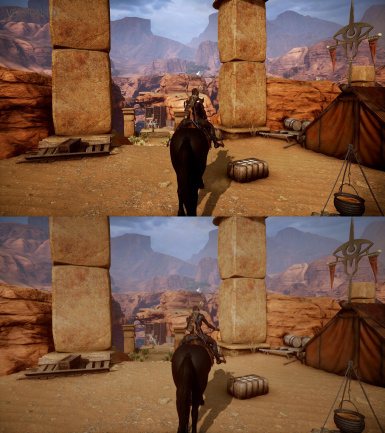 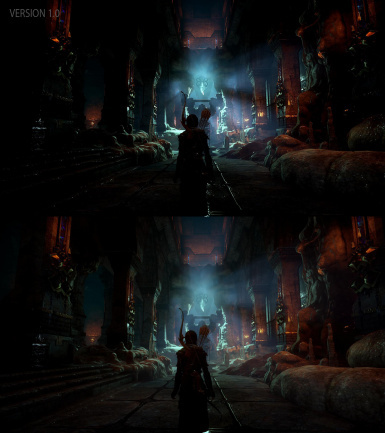 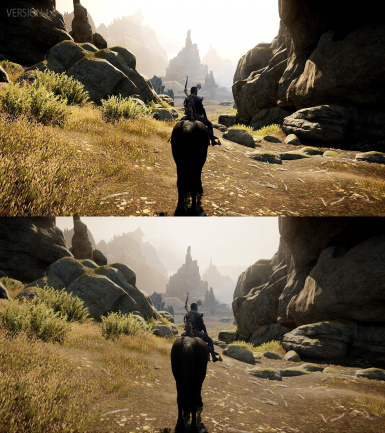 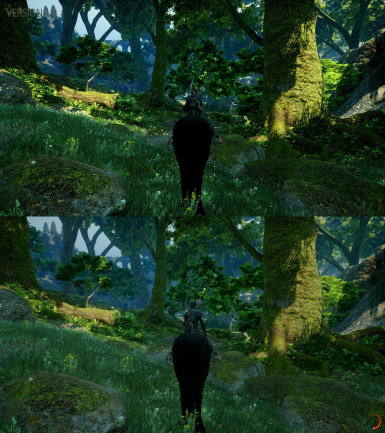 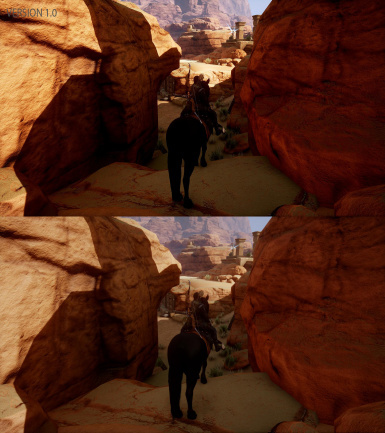 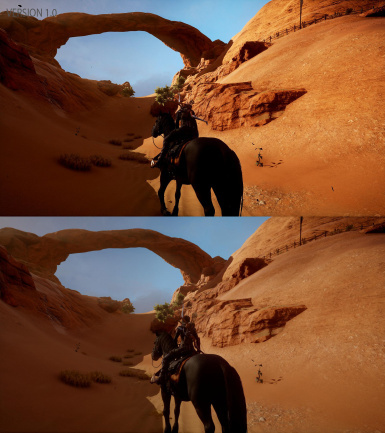 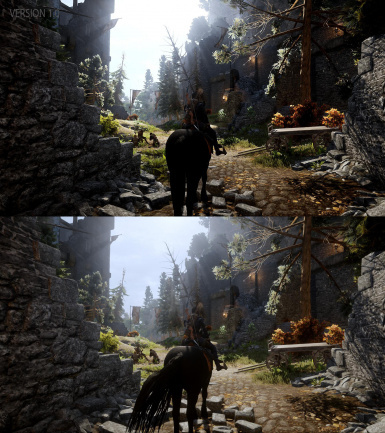 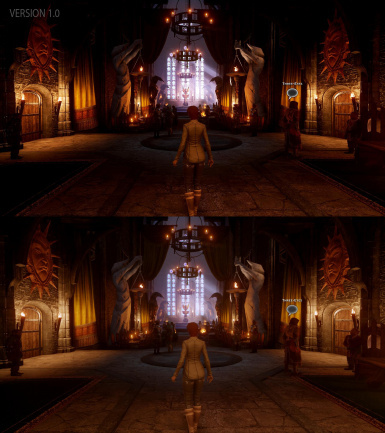 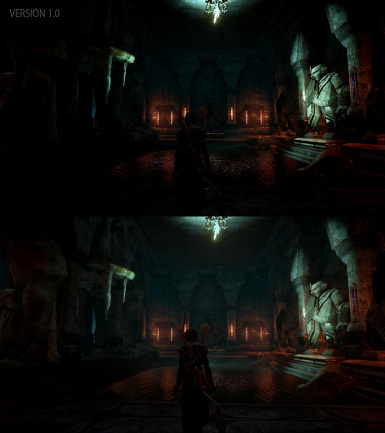 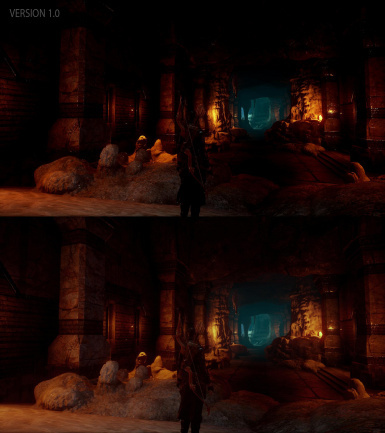 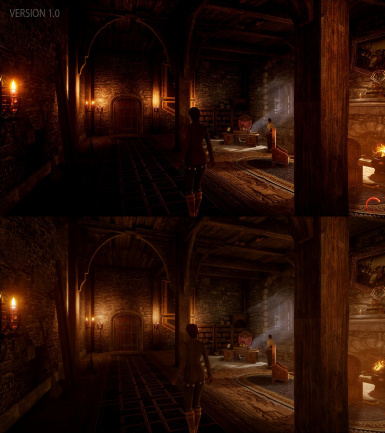 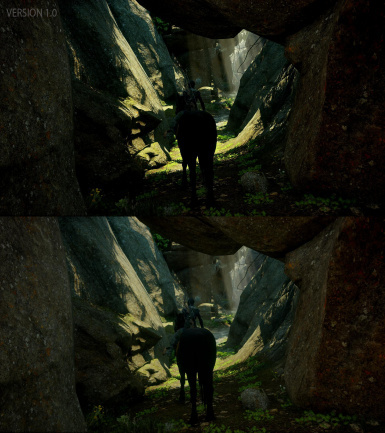 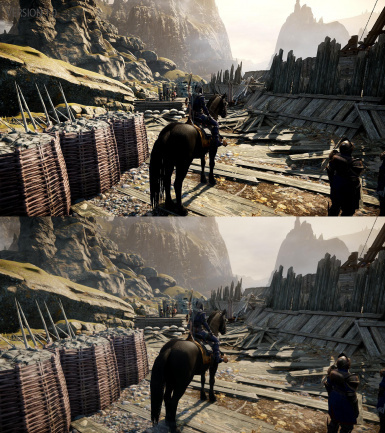 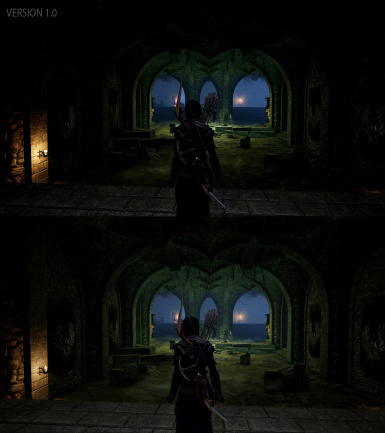 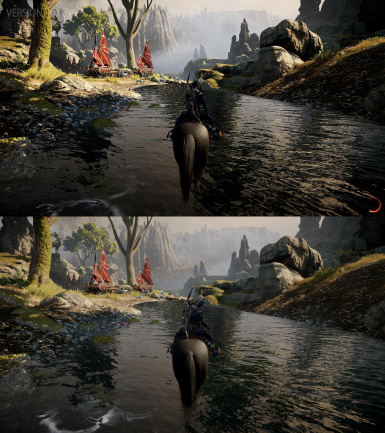 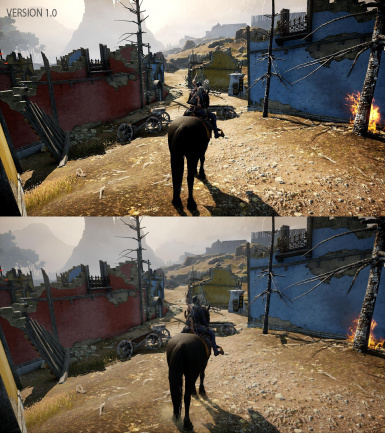 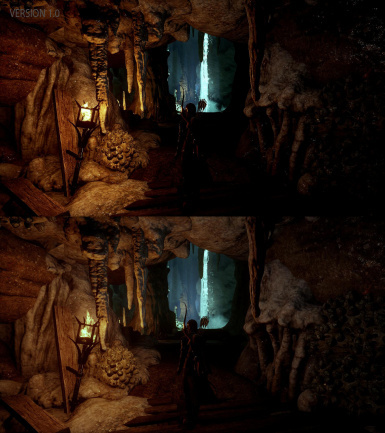 It also adds depth and brings out the colour of the world to produce a more sharper and clearer experience (see screenshots). 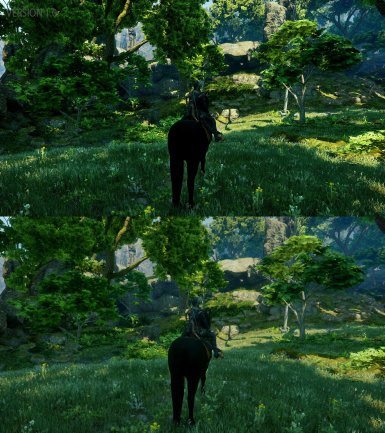 I haven't used any performance hitting settings to produce this preset, so it shouldn't impact greatly on your game. 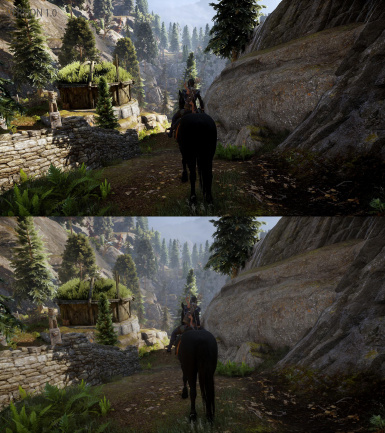 In fact I haven't noticed any significant drop in FPS when using it. 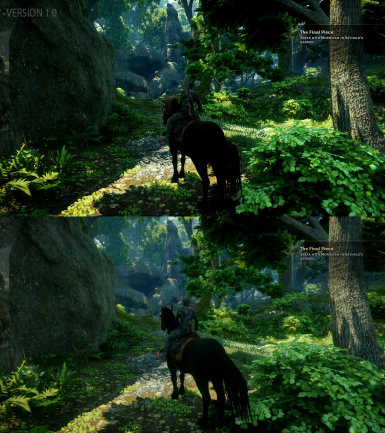 Extract the contents of the zip file to your "Dragon Age Inquisition" folder, where the "DragonAgeInquisition.exe" is located and then run the game. 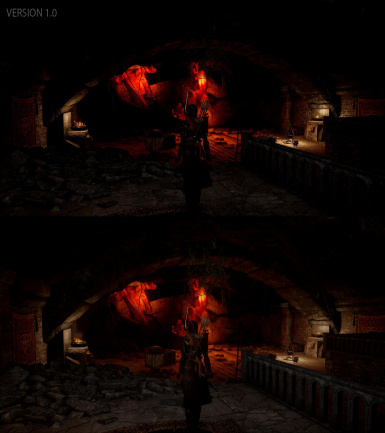 To uninstall simply delete the files added by this mod. 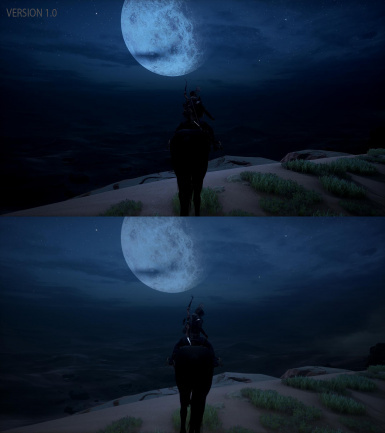 When you first run the game, you will be asked if you have read the notice which appears, read it and click 'YES' and the game will load and this message will not appear the next time. 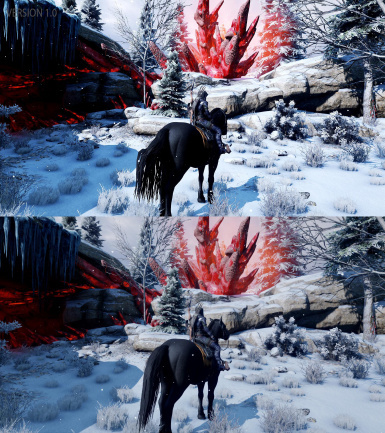 Credit to Crosire for producing this brilliant advanced post-processing injector. 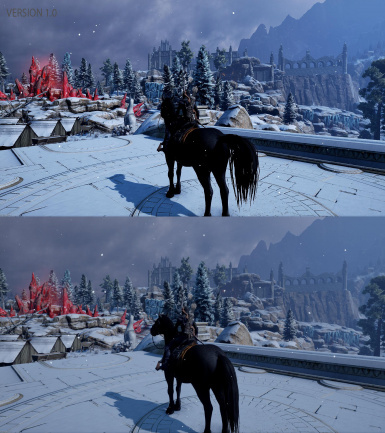 If you like it, go to ReShade and donate to keep it being developed.